Born in New York in 1919, Jerome David Salinger dropped out of several schools before enrolling in a writing class at Columbia University, publishing his first piece ("The Young Folks") in Story magazine. Soon after, the New Yorker picked up the heralded "A Perfect Day for Bananafish," and more pieces followed, including "Slight Rebellion off Madison" in 1941, an early Holden Caulfield story. Following a stint in Europe for World War II, Salinger returned to New York and began work on his signature novel, 1951's "The Catcher in the Rye," an immediate bestseller for its iconoclastic hero and forthright use of profanity. 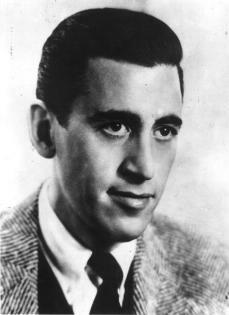 Following this success, Salinger retreated to his Cornish, New Hampshire, home where he grew increasingly private, eventually erecting a wall around his property and publishing just three more books: "Nine Stories," "Franny and Zooey," "Raise High the Roof Beam, and Carpenters and Seymour: An Introduction." Salinger was married twice and had two children. He died of natural causes on January 27, 2010, in New Hampshire at the age of 91.